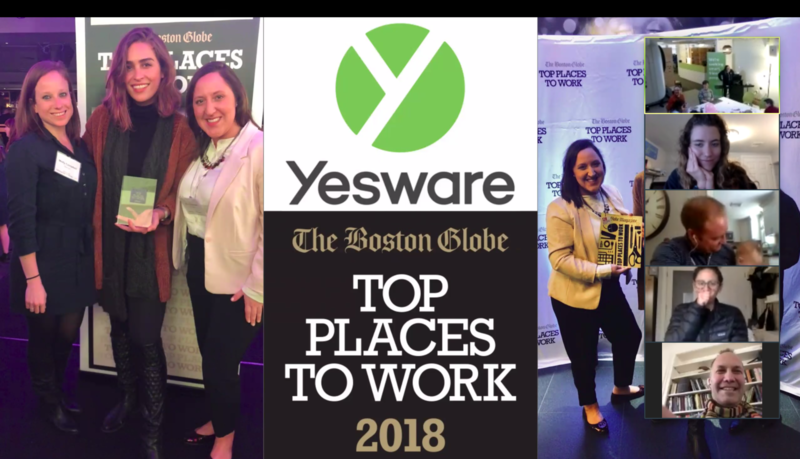 We’re thrilled to announce that Yesware has been named one of the Top Places to Work in Massachusetts for the second consecutive year in a row. The rankings are based on the results from an annual employee survey conducted by The Boston Globe. Top Places to Work recognizes the most admired workplaces in the state as voted by employees. 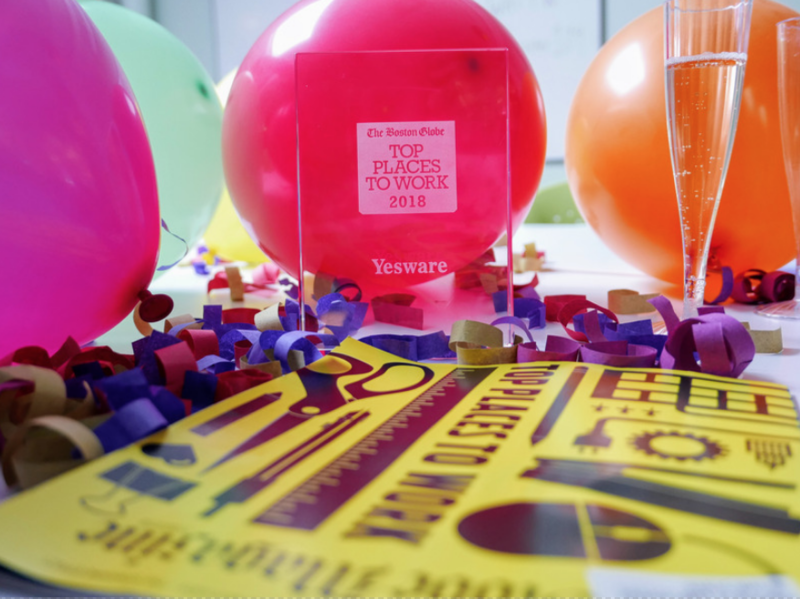 Yesware ranked in the small business category. The best part? We’re currently hiring! Check out our current openings on our Company Page, including openings for remote Engineers. Yesware is committed to developing a culture that embraces diversity and fosters inclusivity. We do this not only because it makes us stronger both as individuals and as a business, but because it is the right thing to do. We know that diversity comes in many forms, so we welcome employees from all walks of life to bring their differing experiences and perspectives to Yesware. Together, we can build an environment where every single member of our team can bring their authentic self to work, be heard, and work toward achieving their professional potential. Want to join the team? We’re currently hiring!